Tim Hegarty has been a force on the New York scene for more than 25 years. Now, he brings a rich collection of sound with Tribute, a mix of choice standards and fresh originals. 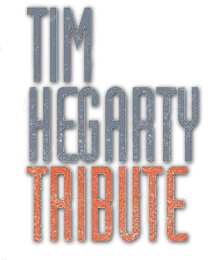 Hegarty plays tenor and soprano saxophones. With him are Mark Sherman, vibraphone; Kenny Barron, piano; Rufus Reid, bass; and Carl Allen, drums. “Amsterdam After Dark” is a mellow, charming piece. Reid lays down a steady groove, with Allen, Barron and Sherman doing their thing. Hegarty’s tone is rich. The entire mood of the piece prompts visual images of an evening tour of the city – the streets, the buildings, human activity. After Barron’s middle solo, Hegarty comes back with fire and passion, setting up Sherman’s turn. “New Picture” is an upbeat waltz. Barron, Reid and Allen are in tight syncopation underneath Hegarty’s lead and Sherman’s solo. Regardless of who’s out front, each instrument comes through clearly. After Barron’s turn, Hegarty comes back with more riveting tenor. Things soften for Reid. It’s to the listener’s advantage to open up and hear the whole group and not focus on the lead. That’s true of most jazz instrumentals but it’s crucial on music like this. There is a lot of wonderful stuff going on in the background. 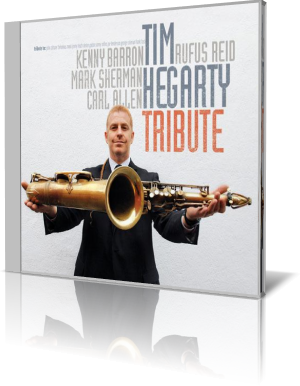 Hegarty draws inspiration from several saxophone masters Jimmy Heath, Frank Foster, George Coleman, Joe Henderson, John Coltrane, Sonny Rollins, Charlie Parker, Dexter Gordon, Ben Webster and Michael Brecker. He began studying saxophone at 13 with Foster. In addition to getting to play with Dizzy Gillespie, Hegarty played with the McDonald’s Jazz ensemble and the Merv Griffin TV show. Tribute is his expression of thanks to those who inspired him, including some not named here.